Playing without the injured Jerry Tuwai, the Fijians strug­gled as they again went down 17-7 to South Africa in their final pool play. 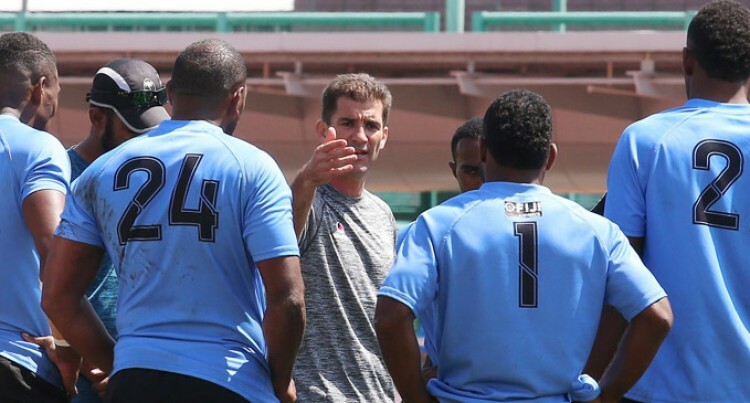 The Fiji Airways Fijian 7s team’s hope of defending the Singapore 7s title were kept alive by Canada after they denied Scotland the chance to qualify to the Cup quar­terfinals. The Scots after upsetting the Fijians 19-12 needed to beat Canada and qualify ahead of the Gareth Baber-coached side. But it was not to be as they went down 33-10 to Canada ena­bling the Fiji 7s team to qualify ahead of them on a better points difference. Baber acknowledged that the injured Tuwai was sorely missed. “We lost probably the most influential player early in the tournament during the first game against Canada. Obviously, experience is a big thing,” he said. “Even in the Scotland game, we were after everything, we just didn’t get the breaks, and that happens in rugby. “Against South Africa, we showed great endeavour and some huge amount of work and we were able to capitalise on some of the pressure positions we put ourselves in- that was very good as well. New Zealand 43-0 Japan, Samoa 40-14 Spain, England 36-7 Kenya, USA 31-12 Wales, Argentina 17-22 Australia, France 26-7 Hong Kong, South Africa 36-10 Scotland, Fiji 50-12 Cana­da, New Zealand 53-0 Spain, Samoa 57-5 Japan, England 0-12 Wales, USA 17-14 Kenya, Argentina 31-5 Hong Kong, France 12-24 Australia, South Africa 36-0 Canada, Fiji 12-19 Scotland, Japan 17-5 Spain, Samoa 22-26 New Zealand, Kenya 19-14 Wales, USA 22-7 England, Australia 47-0 Hong Kong, France 7-19 Argentina, Scotland 10-33 Canada, Fiji 7-17 South Africa.